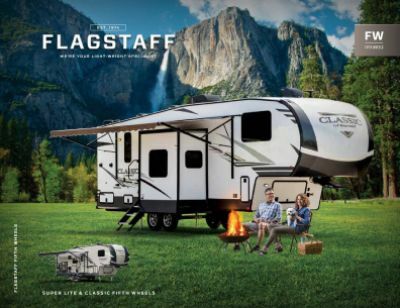 If you're hankering for an RV adventure, you'll get it in spades with the 2019 Forest River Flagstaff Super Lite 527BHWS 5th Wheel! Tradewinds RV Center is one of Michigan's top RV supercenters and one of the top RV dealerships in the country. Why? Because we have sensationally low, low prices on our huge selection of all the top brand RVs, and great financing options with the best rates around! We make it easy to own the 5th Wheel of your dreams! We're conveniently located at 4325 W Vienna Rd Clio Michigan 48420 so stop in and see us today! Don't live in Clio? No problem! We have satisfied customers all across Michigan and around the country, thanks to our 24/7 store-to-door fast, reliable delivery! So give us a call at 810-686-0710 and we'll make your dream of owning this Forest River Flagstaff Super Lite a reality while saving you $1000s! Take a break and relax under the shade of the 21' 0" patio awning! Travel with ease, thanks to this rig's sturdy GVWR of 9374 lbs. and hitch weight of 1374 lbs. Enjoy long, hot showers throughout your camping trips with the help of 60 lbs. of LP tank capacity! The bathroom features a Foot Flush toilet, and the 82 gallon gray water tank together with the 45 gallon black water tank discreetly store your used water and waste. 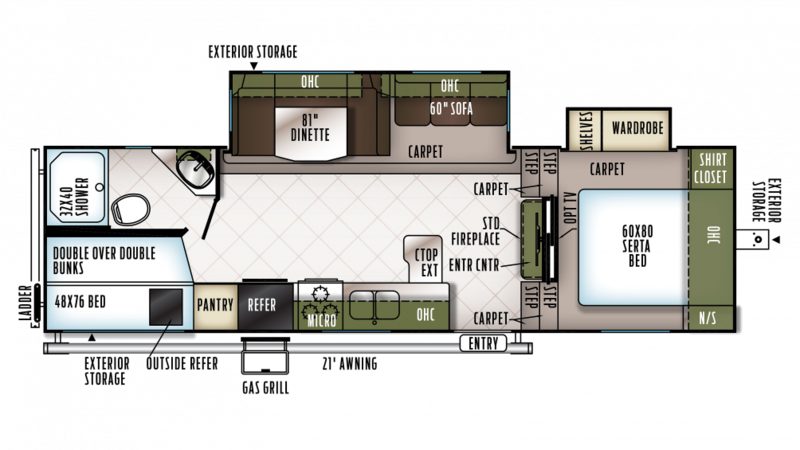 When it comes to sleeping accommodations, nothing can beat the Forest River Flagstaff Super Lite 527BHWS! The roomy bunkhouse comes with homey Bunkbeds! Family or friends can cozy in at the end of the day and drift off to sleep in ease and comfort. Enjoy summer picnics on the campsite with the outdoor kitchen.